A new era of mobile communications is at your fingertips. For the first time in history, portable satellite data communications are available at reasonable costs. Satellite Internet access is no longer limited to large corporation, nor is it tied down to large bulky dishes. 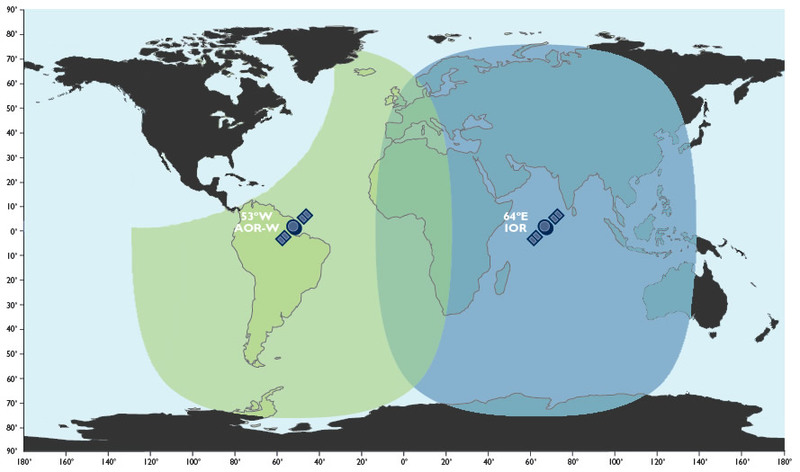 With Tempest Telecom's 3 Satellite Communications options you can connect just about anywhere on the face of the Earth. Connecting using our portable devices is easy. Each terminal is light enough to carry with your laptop. When you arrive in your destination, the terminal's GPS sensors will identify where it is on the surface of the Earth. All you need to do is to angle and point the unit in the direction the software indicates. Setting up can take less than 3 minutes. 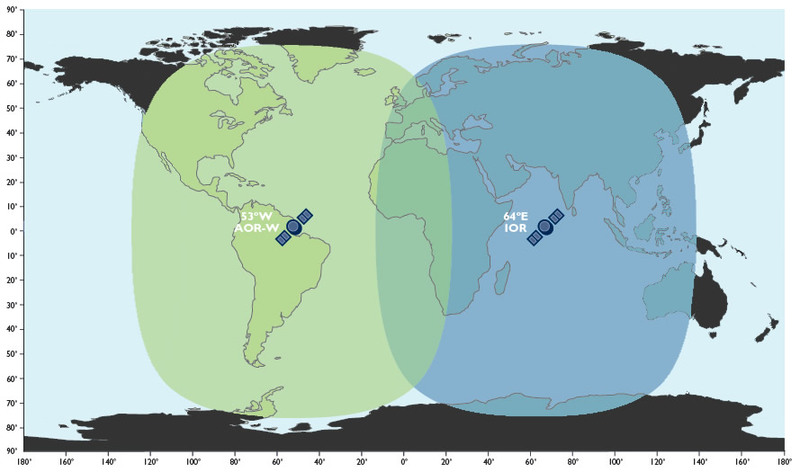 Once the terminal is connected with the satellite, you can connect to the Internet at speeds of up to 492 kbps (depending on model and plan) that's almost 10 Times the speed of dialup and without the need for a telephone line. Each Terminal will allow you to send and receive data. The terminal works in a similar fashion to your Cable modem or DSL. You simply connect the terminal to your laptop with either Ethernet, USB, Bluetooth or WiFi and you're ready to surf the net. If you are looking for the maximum coverage area globally, look to BGAN. BGAN (Broadband Global Area Network) works throughout the Eastern and Western Hemispheres, See a map here. RBGAN (Regional Broadband Global Area Network) works everywhere BGAN does except for North and Central America. So while the equipment is the least expensive of all terminals, it just cant be used everywhere BGAN can. 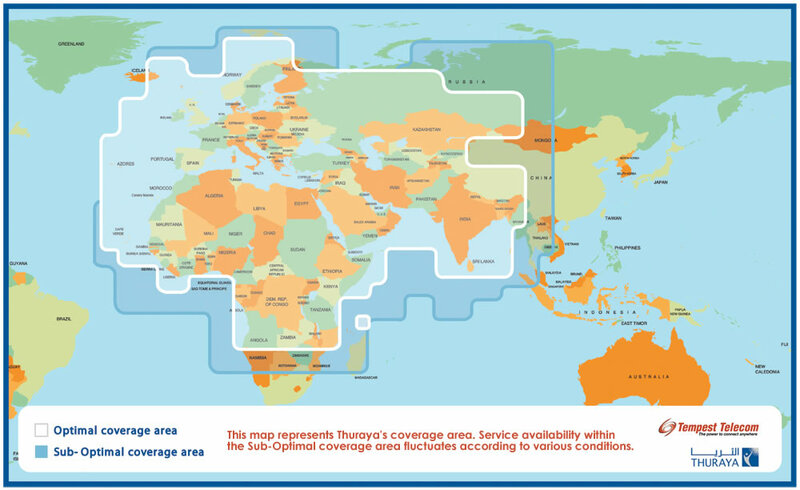 The Thuraya DSL equipment can be used only in Parts of Africa, Europe, Middle East and Asia. Its limited but still covers a wide area and is the best option for long term heavy usage. With RBGAN and Thuraya DSL, the equipment connects at 144 kbps upload and download. If you need more speed, look to BGAN. BGAN equipment can connect from 384 kbps - 492 kbps depending on the model. But BGAN also has additional features. If you need to create a dedicated connection with guaranteed throughput for live Video or Audio, BGAN will allow you to set up connections of between 56 kbps and 256 kbps in order to stream at that rate. This is perfect for live broadcasting or even for certain security applications that rely on a constant open channel. We currently offer 7 equipment options and multiple service plans (RBgan, BGAN, and Thuraya) so if you decide that you want to get satellite Internet access please choose carefully based on the following considerations. RBGAN and Thuraya both provide basic Internet access. So when you connect to the the Terminal with your Laptop or PC, its just like using a cable or DSL modem. RBGAN is designed to be the cost effective entry solution providing Internet access without the high initial equipment costs. There are only 2 plans available with RBGAN: Postpaid and Prepaid. The Postpaid RBGAN option has a straight forward monthly fee of $35 and usage charge of $7.92 per Megabyte. The Prepaid RBGAN option has a monthly fee of $35 and cost of $10 per MB. BGAN has a more sophisticated pricing plan with both prepaid and postpaid options. The prepaid costs are $39.99 per month and $10 per MB just like RBGAN. However there are a variety of postpaid plans that allow you to get lower per MB costs based on a higher monthly fee. If you are planning on using the Internet more than 20-30 MB per month, consider BGAN. Thuraya is the only service plan that offers an unlimited usage plan. For $2500 per month, you can access the Internet on an unlimited basis for 1 Month. Consider Thuraya if you will be using the Internet heavily during your usage period in question.